When a child gets sick at school, it's not always easy to get them the care they need. School-Based Health Care for Students through CoxHealth Virtual Clinics is available using telemedicine. This means kids with sore throats, flu, coughs and similar conditions can be seen by a licensed provider on the spot. Now, there's no need to pick your child up from school and drive to the doctor's office or urgent care - virtual health care means your child can be seen immediately by the same CoxHealth providers you know and trust, using a web camera and specialized equipment. School-Based Health Care for Students is made possible thanks to grants provided by Missouri Foundation for Health, the United States Department of Agriculture and a partnership with Children's Miracle Network Hospitals at CoxHealth. Please note that children running a fever, displaying symptoms of strep or other contagious illnesses will need to go home immediately following their online visit. If your child's diagnosis requires prescriptions, they will be sent to your preferred pharmacy. If you need assistance with the cost of prescriptions, give us a call at 417-269-8633 or 1-888-805-8956. The following conditions and illnesses can be diagnosed and treated through a School-Based Health Care for Students appointment with CoxHealth Virtual Clinics. In addition, CoxHealth Virtual Clinics offer onsite rapid strep testing. What is School-Based Health Care for Students? What is telehealth? What are the benefits of school-based telemedicine? What is the goal of School-Based Health Care for Students? How does School-Based Health Care for Students work? Who will care for my child? What types of conditions can be treated? Do you write prescriptions? How can I participate in my child's visit if I can't be there in person How much does it cost? How do I enroll my child for this service? When is School-Based Health Care for Students available? Will my child's primary care provider receive information from this visit? How will I get records from my child's visit? Who do I contact if I have additional questions? What is School-Based Health Care for Students? It's school-based telemedince, operated by CoxHealth in partnership with your child's school and made possible through funding from the Missouri Foundation for Health and Children's Miracle Network Hospitals. Telehealth, or telemedicine, is a method of providing healthcare remotely with an internet connection, web camera and specialized medical equipment to connect patients with licensed providers. What are the benefits of school-based telemedicine? School-based virtual visits allows your child to be connected to medical care while he or she is still at school. This means your child gets care more quickly and misses fewer school days, while you miss fewer days of work. What is the goal of School-Based Health Care for Students? 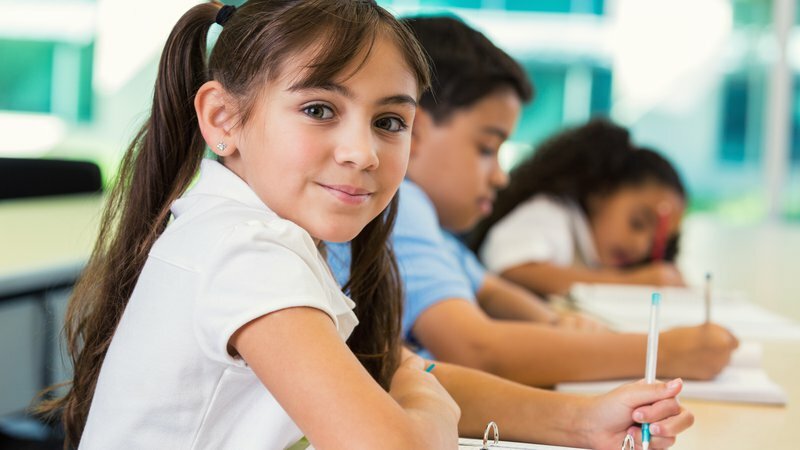 To help schools reduce the number of days children miss school for health-related issues by providing school-based online appointments to elementary school students. We want to help keep kids healthy, in school and ready to learn. How does School-Based Health Care for Students work? When your child is sick he or she will be sent to the school nurse for evaluation. If the school nurse finds your child's ailment is able to be treated by a licensed provider through an online visit, the school nurse will contact you. A licensed provider will examine your child using a web camera and specialized equipment. You'll participate in this visit with your child, either in-person or through a video connection. Virtual Visits are provided by CoxHealth licensed providers. Much like a visit to an urgent care or walk-in clinic, a telemedicine visit will not change your child's primary care provider. Currently, we diagnose and treat common acute illnesses such as cough, cold, sore throat, ear infection and pink eye. If a prescription is required, it will be sent electronically by the licensed provider to the pharmacy of your choice. School-Based Health Care for Students is a low-cost service. Prices vary based on location. Please contact 417-269-8633 or 1-888-805-8956 for pricing. How do I enroll my child for this service? It's easy. Just complete and return the School-Based Health Care for Students enrollment and consent form provided by your child's school or available for download here. You can submit your completed consent form directly to your child's school, or by faxing it to 417-269-7036. Your child MUST have signed School-Based Health Care for Students enrollment and consent form on file before he or she will be able to participate. This DOES NOT mean your child will be treated without your consent. You will ALWAYS be contacted prior to any visit with a Virtual Visit for Kids provider. When is School-Based Health Care for Students available? This service is available during normal school hours. If your child's school is closed due to inclement weather, holidays, etc., School-Based Health Care for Students will also be closed. Outside of school hours, please visit our Virtual Visits service. Will my child's primary care provider receive information from this visit? If your child's primary care provider is affiliated with CoxHealth, he or she will receive information on this visit through your child's electronic medical record. The provider will be able to see the care that was received, and the specific care plan for that visit. If your child's primary care provider is not affiliated with CoxHealth, records from your child's School-Based Health Care for Students visit can be sent to his or her pediatrician. Simply request this at the time of the visit. Similar to receiving care at other CoxHealth facilities, if your child is not feeling better following the Virtual Visits appointment, please contact your primary care provider. If you do not currently have a primary care provider, please call 417-269-4636. How will I get records from my child's visit? A summary of your child's School-Based Health Care for Students appointment will be sent, using secure messaging, to the email address on your child's enrollment form. If you don't have email access, the information can be mailed to you, or made available for pick-up in our Heath Information Records department. For additional questions about School-Based Health Care for Students, please call 417-269-8633 or 1-888-805-8956 , or email virtualvisits@coxhealth.com. Virtual Visits are not for emergencies. Call 911, or go to the nearest emergency room. Would you like to donate to a participating school? Click here.